Kew Media Distribution, the distribution arm of Kew Media Group, closed several international deals for the 70th Emmy Awards. 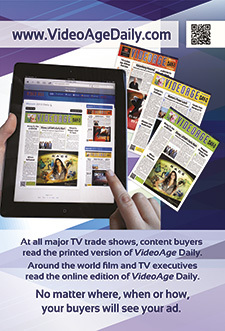 The award ceremony will broadcast live from Los Angeles on NBC in the U.S. For this year’s edition, Kew Media announced acquisitions and renewals, such as a pan-territory deal with Fox for Asia, Turner International for Latin America, Electronic Media Network for Africa, and OSN for the Middle East. Star in India, Fox in Japan, Mongol TV in Mongolia, and RAAD Productions in China will also feature the event. Additional deals were secured with Belgium’s Telenet, Denmark’s TV2, France’s SerieClub, Turner in Germany, Fox International Channels in Greece, Israel’s YES DBS, Italy’s Rai, Kosovo’s RTK, Fox in the Netherlands, Norway’s TV2, Portugal’s SIC, Russia’s Amedia, Spain’s Telefonica, Turkey’s Digiturk, BSKYB in the U.K., and Sweden’s TV4 Play. The 70th Emmy Awards will highlight a star-studded line-up with Taraji P. Henson, Tina Fey, Michael Douglas, and many others.